​I have always loved old things and use them daily. My passion for saving and reinventing materials that would otherwise be thrown out or discarded inspired me to begin creating works of wearable art. This process of recycling yields wonderful results and creates unique, one of a kind pieces with function and beauty. The unpredictability of the pieces is always a challenge for design and technical ability, but brings satisfying, individual results. The materials I use are reminiscent of another era, stirring memories and creating conversations. The sustainable nature of my pieces challenge a society that is so quick to dispose of pre-loved items. My main focus since about 2005 has been the transformation of antique, vintage or retro crockery into jewellery. I enjoy making whimsical, quirky keepsakes from cups and plates that can no longer be used for their original purpose. 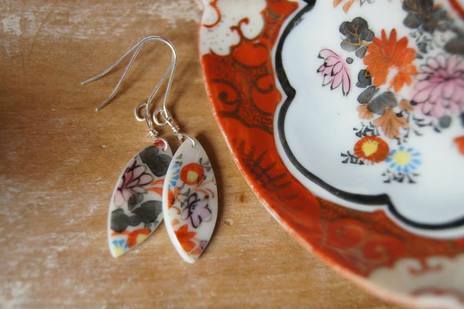 My range includes drop and stud earrings, brooches, pendants, cufflinks, rings and bangles – all made from pre-loved china sometimes dating back 150 years. 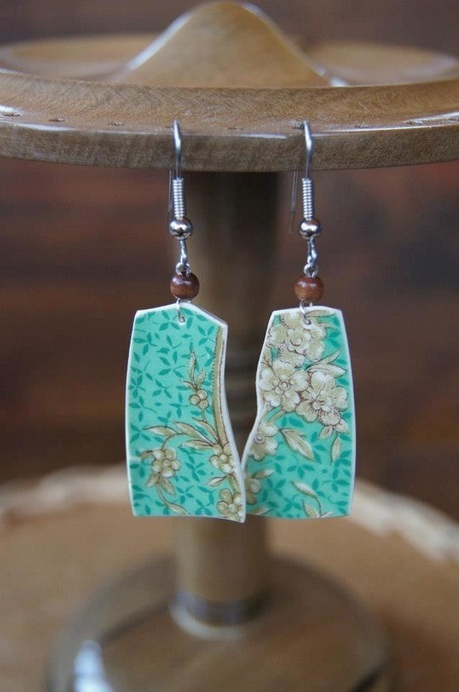 Each piece has it’s own charm and story.